RAMALLAH, West Bank - Palestinian President Mahmoud Abbas on Sunday called the Holocaust "the most heinous crime" of modern history and expressed his sympathy for the victims, a rare acknowledgment by an Arab leader of Jewish suffering during the Nazi genocide. The decades-old Israeli-Palestinian conflict has been accompanied by mutual mistrust. Many Israelis fear that the Palestinians aren't truly ready to accept a Jewish presence in the Holy Land, and that ignorance or even denial of the Holocaust among Palestinians is an expression of that attitude. Denials or attempts to minimize the Holocaust, which saw the systematic killing of 6 million Jews by Nazi Germany in World War II, are widespread in the Arab world. 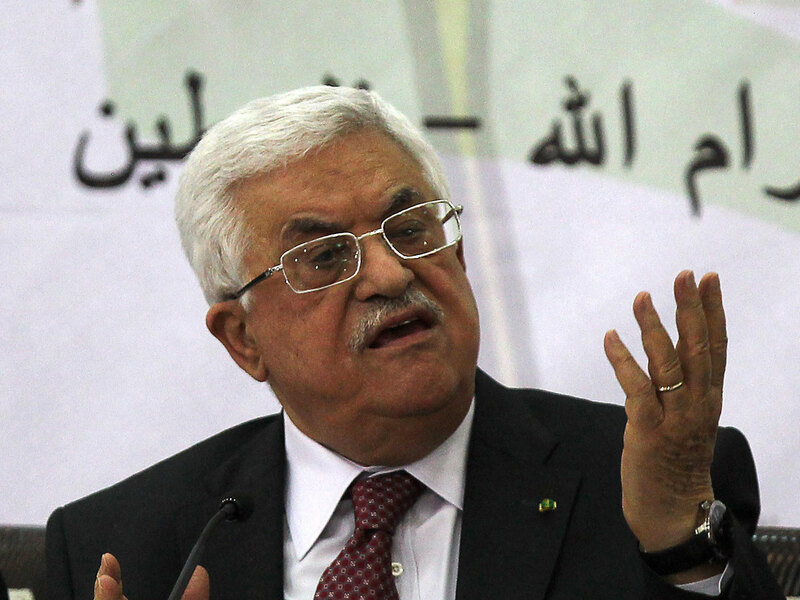 Abbas told Schneier that "what happened to the Jews in the Holocaust is the most heinous crime to have occurred against humanity in the modern era," according to comments carried by WAFA on Sunday. The agency quoted Abbas as expressing his "sympathy with the families of the victims and many other innocent people who were killed." Abbas himself has been accused of minimizing the scope of the Holocaust in a doctoral dissertation in the 1970s, though in recent years he's edged toward acknowledging Jewish suffering. In 2003, he said that "we do not ignore the sufferings of the Jews throughout history," but that "in exchange, we hope that the Israelis will not turn their backs on the sufferings of the Palestinians." Speaking Sunday before a Cabinet meeting, Israeli Prime Minister Benjamin Netanyahu appeared to play down the importance of Abbas' latest comments. "Instead of issuing statements designed to placate global public opinion, (Abbas) needs to choose between the alliance with Hamas, a terrorist organization that calls for the destruction of Israel and denies the Holocaust, and a true peace with Israel," Netanyahu said.